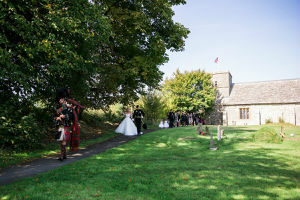 Can we get Married in Watercombe Benefice? Congratulations on deciding to get married! We welcome applications for ceremonies in any of our parish churches if either one of you or your parents has lived, or worshipped in any of them for six months. You may also apply to marry in one if your parents or grandparents were married in any of them, or if either of you were baptised or prepared for confirmation here. (Pastoral Measure Notice 13-01-1981.) Further, we welcome applications from people who have been married before. We simply have a slightly extended initial interview to check you are ready to take this step at this time. What have you learned from any previous relationships? How are past hurts being dealt with? How are any children being included? A non-returnable £50 deposit will be taken when the booking is made as a deduction from the final Local Church Council settlement. We encourage regular attendance at worship in the parish where you are to be married. Ideally this will be from the time of application until the wedding - even if this is not a requirement to establish a 'qualifying connection'. This will enable you to get to know the Christian community where you are marrying so we can support you in and beyond your preparation. We aim to offer the five session Marriage Course (from the Alpha Course people) from time to time for people preparing for, or recently, married, and others who are interested. We recommend you attend these as a couple. If you cannot with us, we can help you get a place on something similar nearer to you for your convenience. May we Hear our Banns Being Read? Will we Need a Common Licence? Only, if you have a legal connection with any parish in our group but there's not time for banns or your address is likely to change when they'd be being read. Then you'll need a Common Licence instead. The other reasons are: if one or both of you are British but live abroad; live in the UK but your home is not in England or Wales; or are a national of a country outside the European Economic Area. To get one you will have to 'swear an oath' in person in England in front of a legal official. Contact Jonathan Still 01300 341251 for time and change of address or the Diocesan Registry 01722 432390. It will cost around £200. If either of you is a Non-EEA National you have to complete civil preliminaries. In this case we need your Superintendent Registrar's Certificate before booking a marriage in our churches. Contact Exeter Designated Register Office 03451 551002. £50 deposit paid at time of booking. £561 by transfer or cheque to Watercombe Benefice Fees Account 30-92-69 28632660 at or before rehearsal. The Benefice office deals with all official papers and fees and will issue receipts. The Rector, or other minster, will arrange to meet again about three months before the wedding. This time we will talk about your choice of music, hymns, the Bible reading and other readings. We will check that the Best Man, the person 'giving away', the witnesses, flowers, photographer, organist and other details are in hand. We will also read through the words we'll use in your service. We can provide an outline to help you prepare an Order of Service, if you are having one. Having said all this, try not to let the arrangements take the edge off your special day. The day before, or as near then as is convenient for us, we will have a walk through. You must bring any remaining payment. It is also essential that everyone with a role attends: Best Man, the person giving away, readers, Maids of Honour, Witnesses and so on. The Minster will double-check the details for the Register. Our advice is to stop take a breath and take in the sights, sounds smells, tastes and sensations each step of the way through this hopefully once in a lifetime experience. Above all enjoy it! It is possible to have your passport made out in your married name prior to the wedding. You will need to collect form PAS PD2 from the Post Office and bring it to the minister to sign. Do leave enough time for the Passport Office to process your application. We would also suggest you follow the example of marking your anniversaries by coming back to one of our regular Sunday services on that special occasion. Finally, don't forget that if ever you need a listening ear, specific prayer or a ceremony of celebration we would love to hear from you.